Geohashing, as introduced by the awesome web comic xkcd, is an spontaneous adventure generator. The geohashing algorithm uses the current date and the day's Dow Jones Industrial Average to generate a new location for each region in the world. Geohashers then use various means to reach that location in search for fun and adventure. As out there was beautiful autumn weather, and I needed to go somewhere to air my thoughts, I decided to hunt down today's geohash of the Helsinki region. 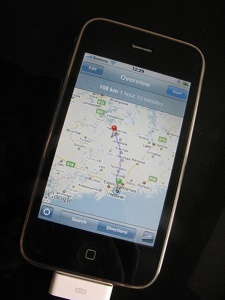 To do so, I fired up the Geohashing iPhone application, and let it count me the coordinates. 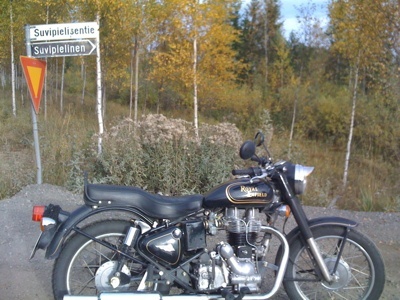 As it happens, the spot was in the end of a gravel forest road between Renko and Hämeenlinna. Calculating the route with iPhone's map software to be 108km, I put on some warmer clothes and jumped on my bike, heading leisurely north on smaller side roads. 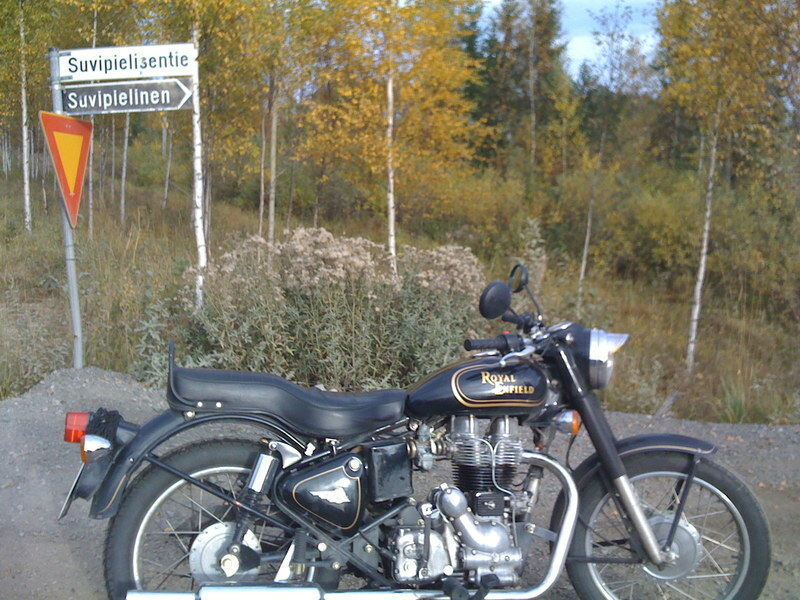 I had a lunch stop at Roosa, and then made my way to the destination. The moose hunting season has just started and some gunshots could be heard in the woods. This worried me a bit, especially as the road's sign had some bullet holes, but the locals I passed on the gravel roads seemed friendly enough. While Google Maps didn't show it, the spot was actually easier to reach, as it was just some ten meters from a small gravel road. I took the necessary picture proof, had a chocolate bar, and then headed back. 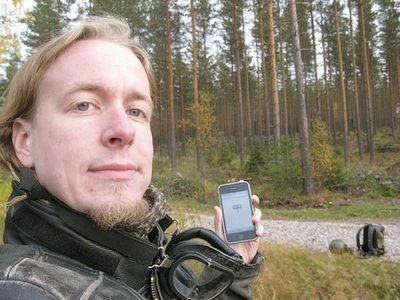 This was my first geohash. Definitely a fun way to experience your surroundings spiced up with some randomness! 28 December 2004. 1 minute read.